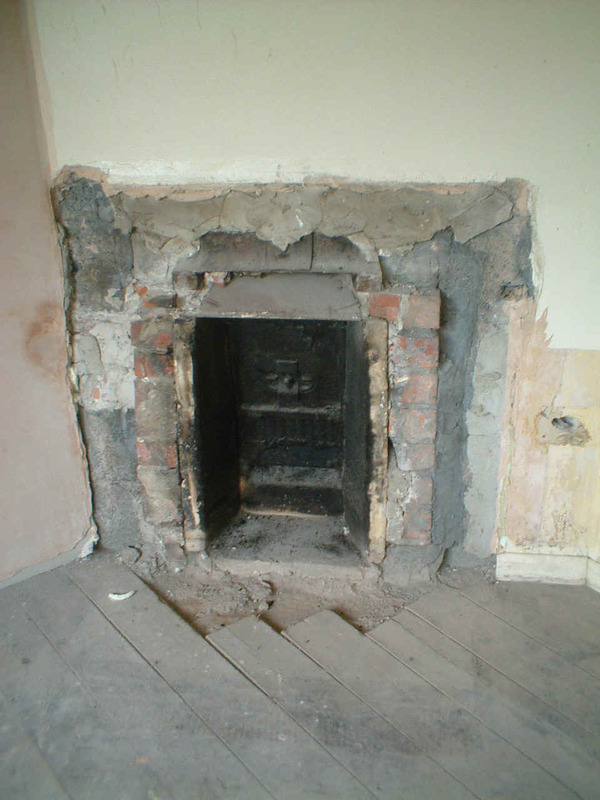 Fitting a stove requires building regulations approval (not usually planning consent). We use Hetas registered installers which means that we can self certify the work on behalf of Building Control. A compliance certificate is provided on completion of the job. 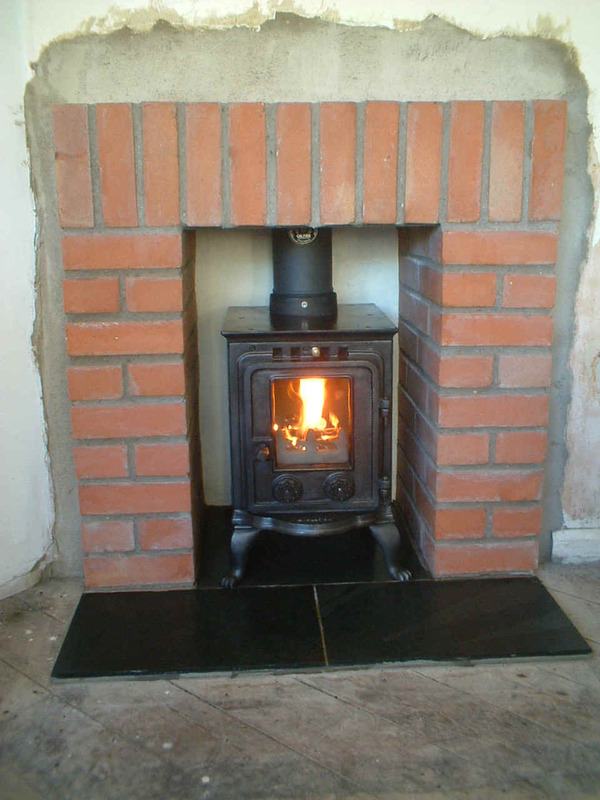 We offer a complete installation service for the stoves that we sell. 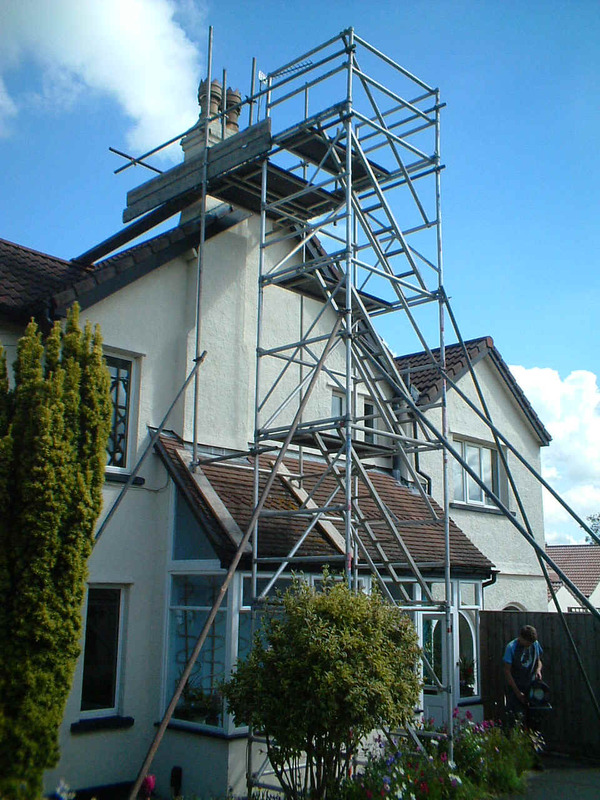 In some instances this can require some building work which we can also undertake if you wish. All you have to do is choose the stove from the wide range we offer! 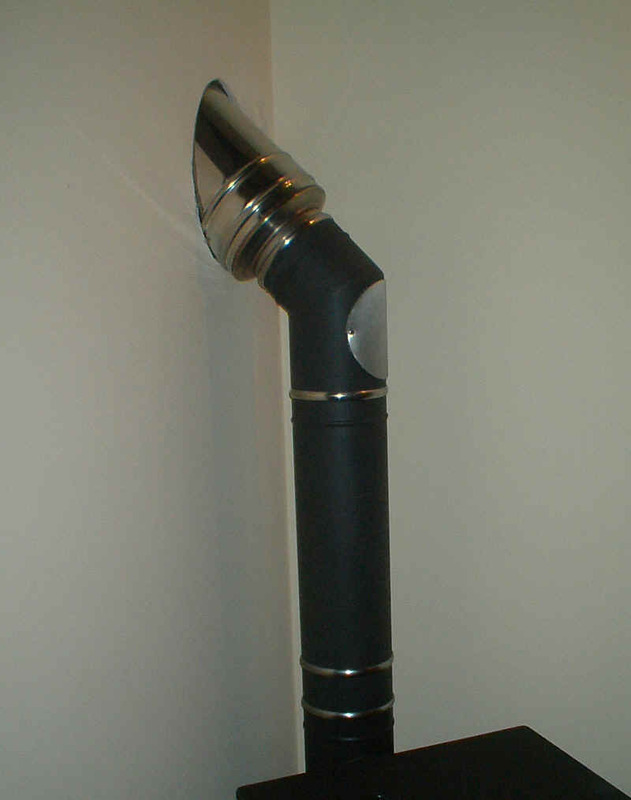 Installing a wood burner requires a chimney liner to be fitted. 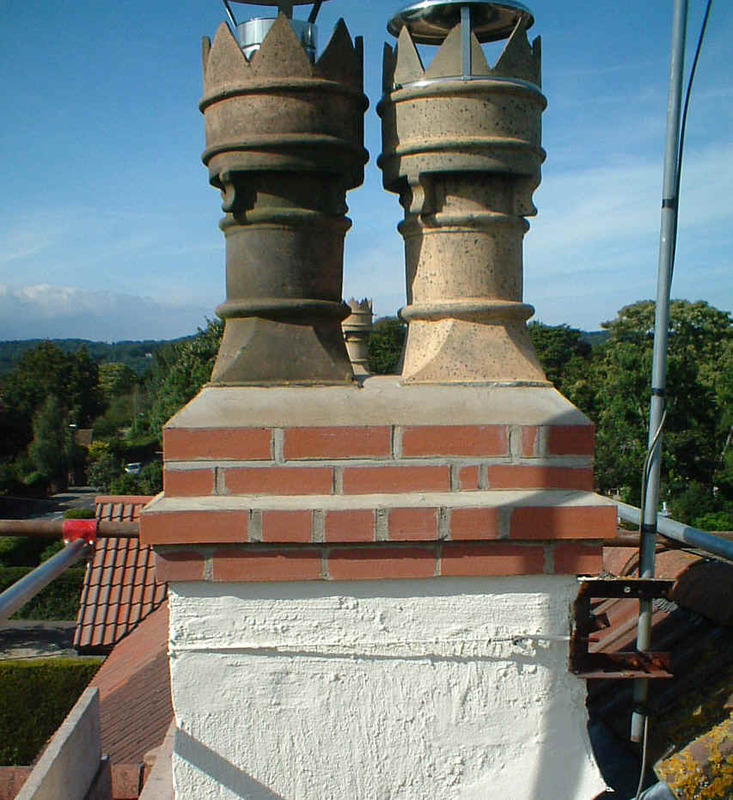 For old chimneys re-lining will be required (similar to that for a gas fire but a higher grade stainless steel). If your chimney is already "Class 1" we can sometimes connect a stove directly to it although a liner is still recommended. 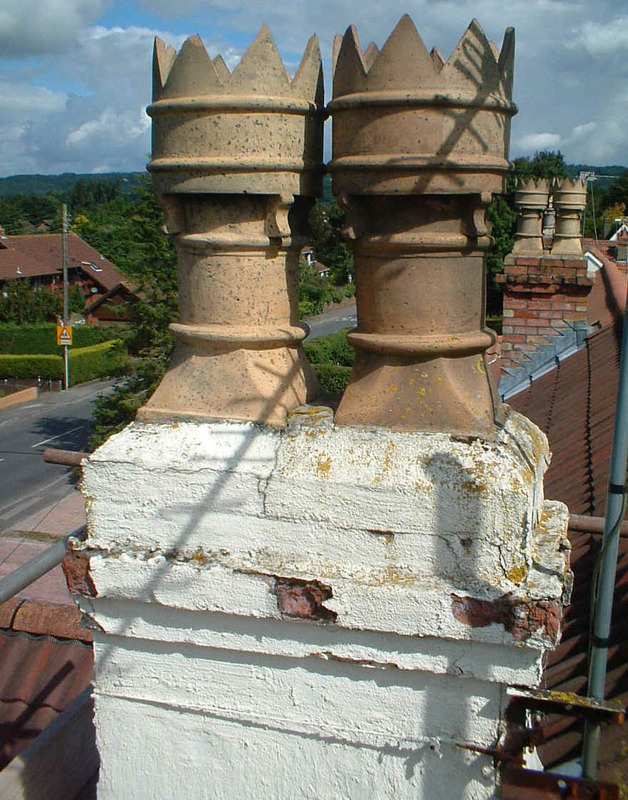 Sometimes some remedial work is required for example to repair a chimney stack prior to fitting a stove and liner. We can usually undertake this as well. 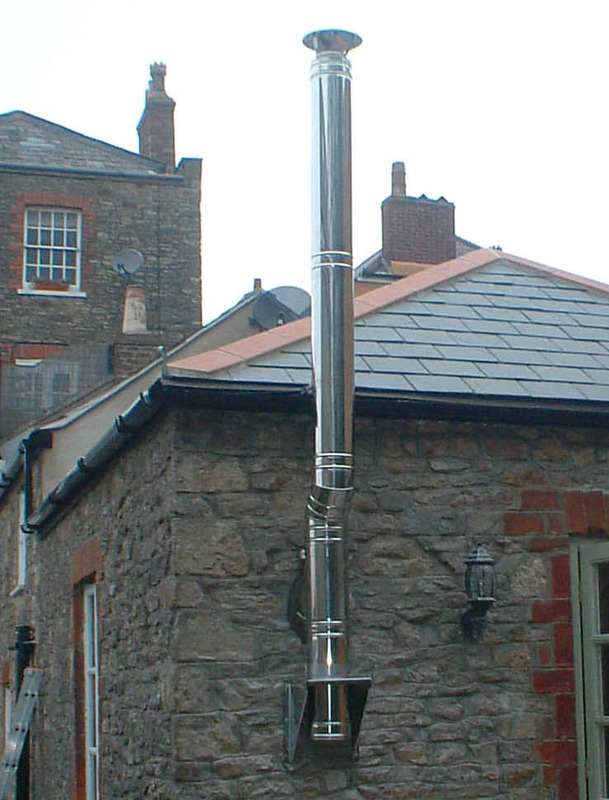 We design and install prefabricated chimney systems. These usually work out cheaper than building a conventional masonry stack. 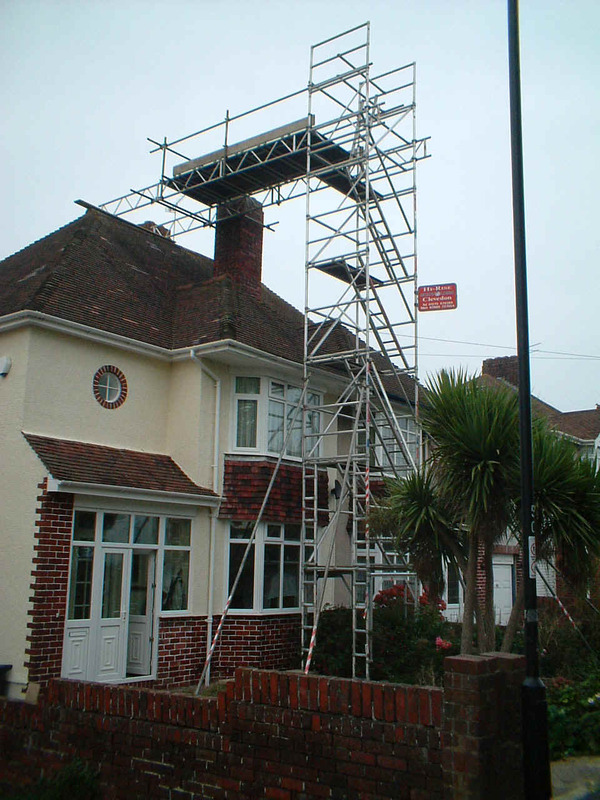 If you are undertaking a refurbishment, conversion or new-build we can specify and supply a kit for your builder to install. Insulated pipe passing through external wall. External insulated pipe support and cleaning access. 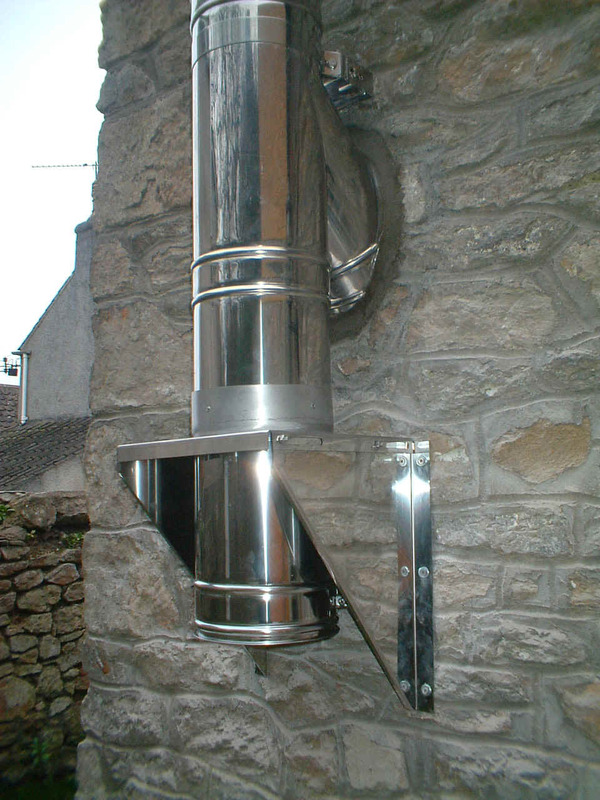 External insulated chimney system.